Our final 2018 intake of newly acquired Mystery titles is an absolute cracker with new works from Elly Griffiths, Håkan Nesser, Karin Fossum, Anthony Horowitz and Quintin Hardine to name but a few. So why not take the load off your feet sit back and enjoy a jolly good murder mystery this festive season. Down to the woods / M. J. Arlidge. 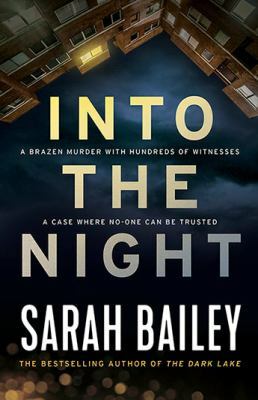 Into the night / Sarah Bailey. The whisperer / Karin Fossum ; translated from the Norwegian by Kari Dickson. The root of evil / Håkan Nesser. “Is a killer still on the loose? The story of the Body in the Quarry was well-known around Edinburgh all those years ago: a popular priest found dead in a frozen quarry; a suspect with a clear motive charged; a guilty verdict. But with a journalist uncovering new evidence, the cold case has come back to haunt Skinner’s old mentor Jimmy Proud – and only one man can help him. Miss Blaine’s prefect and the golden samovar / Olga Wojtas.